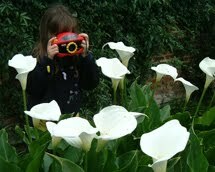 shirls gardenwatch: Prehistoric garden visitor? I really should be getting bored by now – but really, honestly I’m not. 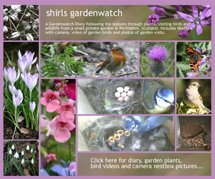 This prehistoric Perthshire garden blog (7yrs old this Nov) which promotes gardenwatching still has me taking video and photographs with the same enthusiasm and delight at seeing something new from my garden window or out and about as it ever did - perhaps even more! So I have a prehistoric garden visitor now? Haha… not quite… but my newest garden visitor (albeit a brief sighting/video capture whist on the phone) seriously reminds me of a male Velociraptor. Yep… now… that is a big leap I grant you but leaping is something they both have common here as are those big beady eyes! They are both smart too… that’s another clue to my newest visitor… a big clue. 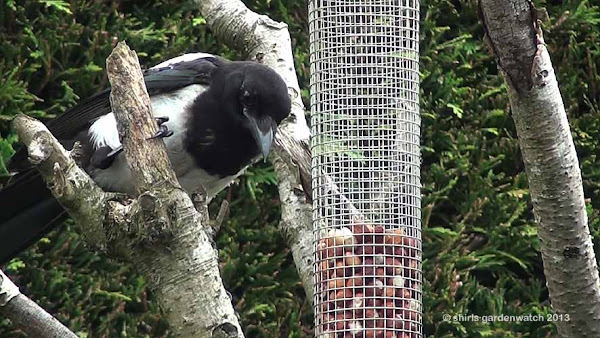 Juvenile Magpie in garden, 33sec video with background music, try HD quality. 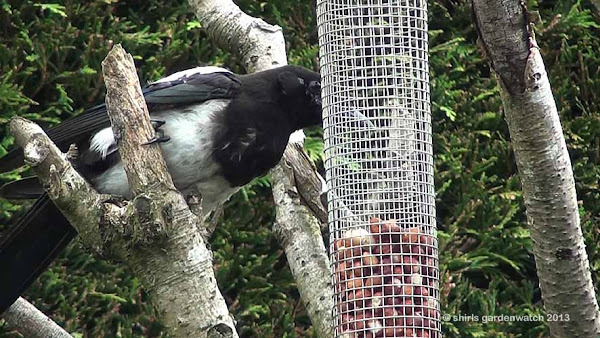 Being smart, like most newly fledged birds, I’m guessing the juvenile Magpie shown above that was spotted feeding on peanuts in a hanging bird feeder earlier this week probably followed a parent to my garden. 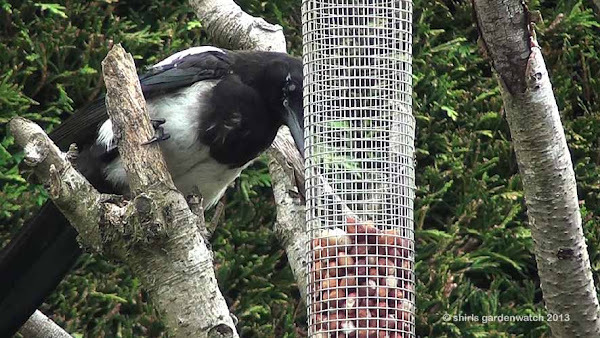 However, I very seldom see a Magpie in my garden so perhaps it was watching other birds eat from this feeder. On previous gardenwatching, I have noticed the other Corvids like the Jackdaw have a liking for peanuts. 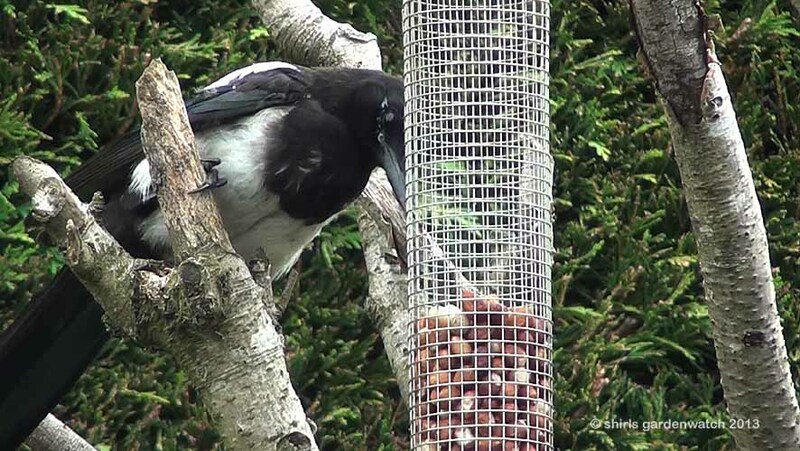 Although I have never seen Jackdaws feed from a caged feeder like this one did with its large beak! The Jackdaws have been seen demonstrating the crash, grab and go method at seed feeders with peanuts! 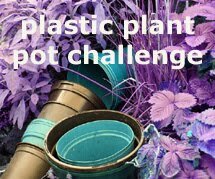 Photographs have been a huge part of my garden blog. 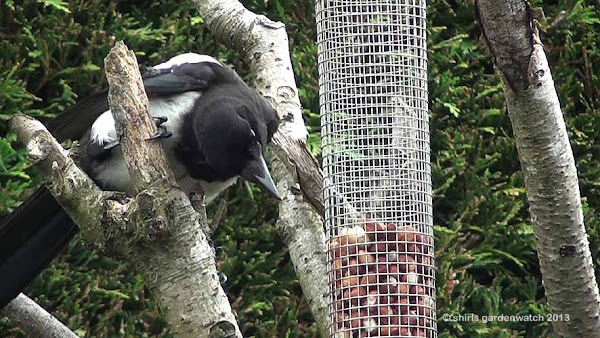 Their main role is as a record shot of a visitor and they have been valuable in helping me find ID’s for all garden visitors – not just birds. Quality can vary, but I have fun trying to getter better images with different backgrounds throughout the seasons. 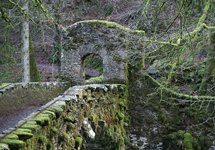 I have never seen my blog as a Garden Photography Blog but thank-you Notcutts. 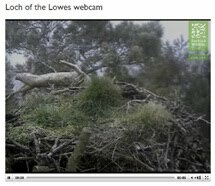 Video grabs are another way to get still images for blogs and I have often found this has thrown up details/moments I missed during filming. It can be a lot of fun picking which video frame to grab (a lot of trial and error too). Perhaps you’ve never watched the The Jurassic Park Trilogy? The film scene I was thinking of comes from Jurassic Park 3 when a female character finds a raptor looking back at her through a glass vat. You can view this scene 0.34 seconds in on the video below. The group comes across the abandoned InGen compound. They explore the compound and find large vats of liquid with the preserved remains of young dinosaurs inside. Amanda is attacked by a male Velociraptor, who had been waiting in ambush behind a vat, appearing to be inside. As they flee, the rest of the raptor pack joins in the pursuit. Haha… what fun writing a blog post can be! Wishing you a fun weekend and lots of interesting gardenwatching. There have been many juvenile birds visiting here, lots of bees and some butterflies too – what are your newest and most popular garden visitors just now? 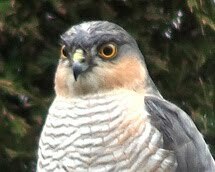 So many times we have enjoyed garden visitors at the same time, Sue and there are a fair few miles between our gardens! I always find that a fun thought. 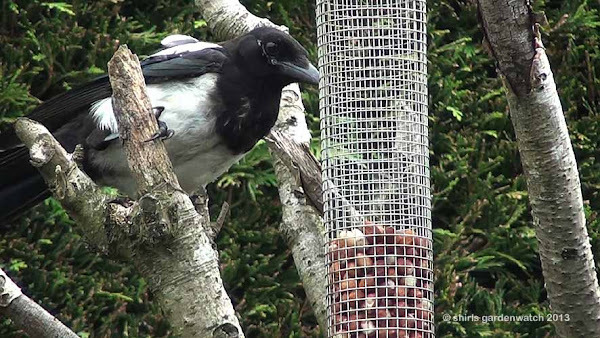 I have noticed images of a juv Magpie on another UK garden blog recently too. 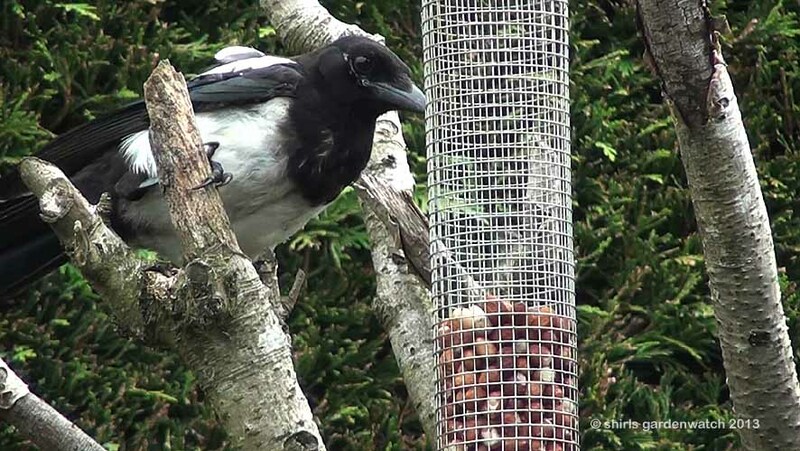 Maybe its a good breeding year for the Magpie or the hot summer has brought them to our gardens? Corvids are such fascinating, intelligent birds. Lucky you have a first for your garden. Magpies don't live in our area. It would be an "event" if one showed up around here let alone in our garden. 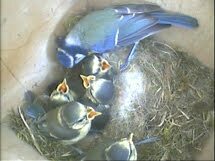 I do so enjoy seeing your garden and visitors. It is like getting a peek into another world. Lisa, absolutely, I’ve great bit of corvid cleverness to share at some point. 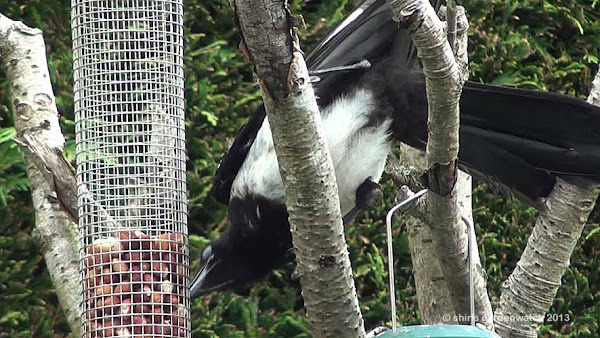 In all honesty, I cannot believe these first (and sometimes only) sightings I have seen in my garden since beginning this blog. I often wonder what else visits when I’m not here or looking out my window. I do know I would have missed the male Bullfinch visitor (one that had been on my garden wish list) if my OH hadn’t wandered over to speak to me. I was typing away at PC and just out my window there it was just a few feet away – I could have missed this visitor completely!